Following the rollover of last Wednesday’s draw, which saw the then $94 million jackpot climb past the $100 million mark, the US Powerball’s Saturday draw just concluded with yet another rollover scenario. There were no winners during the January 27 draw, which means that, come Wednesday, January 31, the $112 million jackpot will become $127 million, with a cash option of $78.4 million. Overall, there were 749,086 secondary prize winners during yesterday’s draw. There were two who matched all five numbers, but only one of them had the Power Play activated, which means one won $1 million while the other gets to take home $2 million. The Mega Millions jackpot nears the $90 million mark as it was confirmed that no one won the $76 million jackpot of the January 26, 2018 draw. That means that the jackpot will now be worth $89 million, with a cash option of $54 million, come Tuesday, January 30. As for secondary prizes, there were no winners of the $1 million second prize, but there were twelve winners of the $10,000 third prize—with two taking home $40,000 thanks to the Megaplier. Overall, there were 429,277 winners of at least $2-4 each. 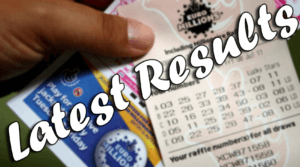 As if following the lead of the US Powerball and Mega Millions lotteries, no grand prize winners were found for the January 26 draw of the Euromillions. What could have been a €91,021,687 win will now rollover into next Tuesday’s draw wherein the jackpot is expected to pass the €100 million mark. Meanwhile, two lucky Irish players won €500,000 in the Euromillions Plus game. One ticket was sold in Dunnes Stores, Wendell Avenue, Portmarnock, Dublin and the other was sold in Bunayan’s Shop, Doon Road, Ballybunion, Kerry. For the first time in seven years, New Jersey’s lottery sales have taken a dip last year, thanks in part to a sharp decline in Powerball revenue. 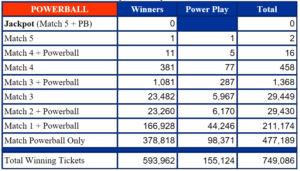 Powerball ticket sales saw a massive $72.5 million decrease compared to the previous fiscal year. On the plus side, the New Jersey Lottery’s latest annual report says that scratch-off tickets have remained as the state’s biggest sellers. Last year, scratch-off ticket sales—which amounted to $1.9 billion—amounted to about 59% of the NJ Lottery’s revenue in 2017. Overall, the lottery sold $3.186 billion worth of tickets last year. At first glance, it might not seem that bad, but it was around $103 million less than what they raked in during fiscal year 2016. The good news is that the New Jersey Lottery managed to contribute more to education and social programs in 2017. Compared to 2016’s $987 million contribution, they funneled $994 million to good causes. 36-year-old Rayhan Sorwar of Edison, New Jersey, was charged with second-degree theft, attempted money laundering and conspiracy last Friday, January 26, 2018. Allegedly, a customer presented Sorwar, who works as a convenience store clerk, with a $1M-winning scratch-off ticket in September of last year, but Sorwar gave the customer two tickets instead of a claim form, telling the customer that those were her prize. Sorwar’s slip-up, however, was when he attempted to cash the winning ticket at the Lawrenceville lottery commission—which prompted the investigation. As for the owner of the winning ticket, lottery officials have already located her and paid the winnings that was rightfully hers to begin with. It seems another store clerk is having a bad week. 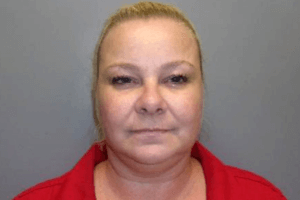 42-year-old Crystelle Baton, who works as a cashier at Winn-Dixie Liquors in Fort Myers, Florida, was busted for trying to trick a customer and stealing their winning lottery ticket in the process. Apparently taking from Rayhan Sorwar’s playbook, Baton told a customer—who asked her to check a lottery ticket for him—that the prize was only $5, despite the winning ticket being worth $600. Unfortunately for her, the customer who gave her the ticket was actually an undercover agent. After leaving the store, the “customer” returned not long after and promptly arrested her. Agents found the winning ticket hidden inside one of Baton’s notebooks. She was charged with larceny and is currently out on a $5,000 bail.